Coming up with new date ideas is never easy, even more difficult if you are trying to impress that someone special with a spectacular evening. The formula to unlocking a great night idea begins with picking a awesome date night activity. Being spontaneous, fun and entertaining is a lot of pressure right? Here are some great Sydney date ideas to keep your dates coming back for more. Don’t run off to your usual cinema to watch a movie! Try the Soda Factories free monday night movies. The movies are often some pop culture classics and will getting you talking about some of the great movies of your childhood! Can’t make Monday movies? That’s fine the Soda Factory have events for everyday of the week, all of which are unique and fun ways of making a night a bit of fun. The brand spanking new Archie Rose Distillery is located in the centre of Sydney, established 2015. Within the small space, they make their own malt whisky, gin, and vodka. Gin and Vodka, don’t need any aging – they are ready once the distillation process and final blending has been done. So, given this distillery is so new, you can currently sample, (and purchase if you are so inclined), the modern style of spirits. You can do guided tours 7 days a week, but its best if you can go during the week as the distillery is operating and you see more. The tours are taken by a young group that will keep you entertained and with a drink in hand. Trivia nights at a groovy local PUB is a great date idea. Food, Drink, and conversation topics all provided in one location! All you have to do is enjoy the evening. You also get a good insight into your dates interests! (hello date number 2). We recommend the Dove and Olive in Surry Hills (hosted by comedian Nick Nolan), Since I Left You in the CBD, to The Rose in Chippendale and The Forresters in Surry Hills. 4. Feeling Creative After Hours? 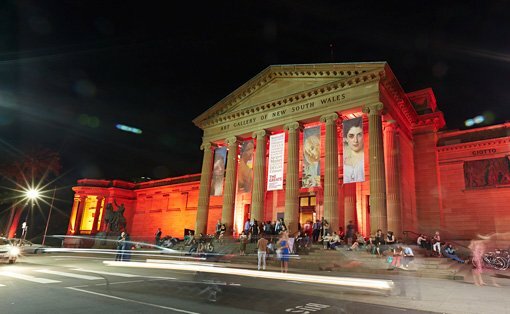 Art Gallery of NSW stays open late for Art After Hours, which showcases something different each week. On the program is anything from live music, lectures and talks, workshops and film screenings, all with a distinct theme in mind. It is free and offers a date that is a bit different, even if you are not into art it is a great way to end an evening. Being active on dates is a fun way of doing something different in a city that you are all to familiar with. Put a spin on your date night and get bowling, rock climbing, bike riding around the harbour or swimming in the city. 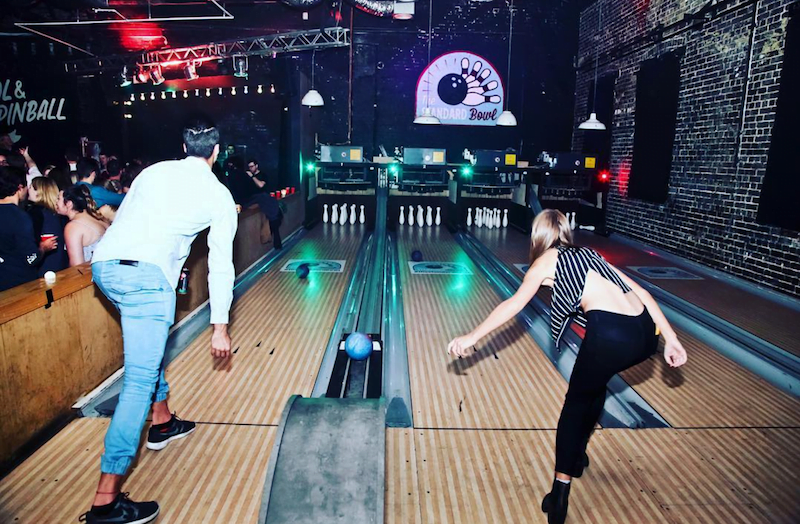 The Standard Bowl has four mini bowling lanes next to it’s live music stage and dance floor so it’s the perfect spot to encourage some light hearted rivalry before getting a drink and dancing your night away. Bring out your competitive side with indoor rock climbing to take your date to new heights.